Despite high tensions between Western powers and President Vladimir Putin’s Russia, the four foreign ministers held their first meeting since early last year to revitalise a long ignored truce agreement. Russia and Ukraine had again formally committed to the key tenets of the 2015 Minsk agreement, brokered by Germany and France, he said. “All sides once more voiced support for a lasting ceasefire, including the withdrawal of heavy weapons, the disengagement of troops and demining, and the protection and granting of access to the OSCE Observer Mission,” he said. Lavrov said both sides had discussed a ‘road map’ for a prisoner exchange of people being held by Kyiv and Moscow, reported state news agency RIA Novosti. French Foreign Minister Jean-Yves Le Drian also saw “a positive dynamic for what I hope will be a peaceful solution”, adding that Paris and Berlin had offered to assist in demining operations. In the long run, he said, “we are ready to work on the parameters of a possible United Nations mission for eastern Ukraine when the implementation of the Minsk agreements will allow it”. Even if the guns were to fall silent, that issue is tricky. While Moscow favours blue-helmet troops only along the frontline, Kyiv would want them to also police the Ukraine-Russian border to prevent soldiers and weapons from crossing. 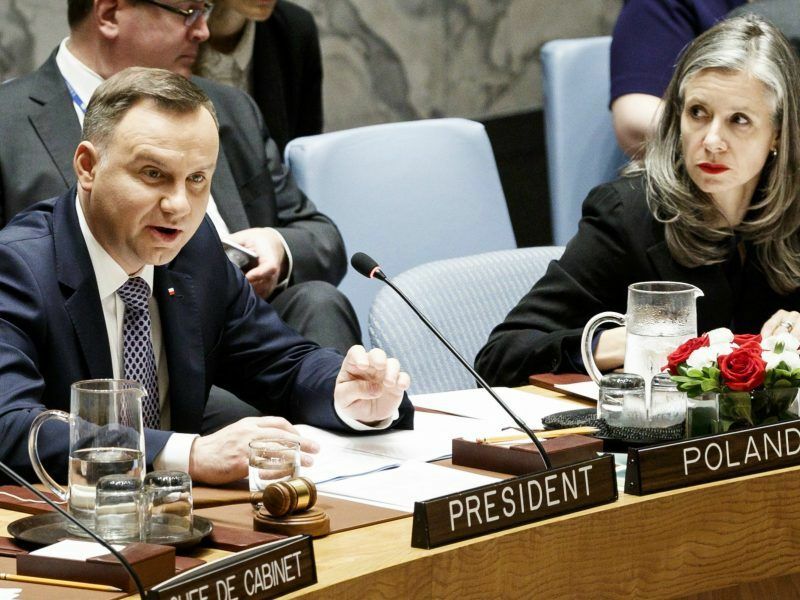 Poland’s president on Thursday (17 May) asked the UN Security Council to deploy a UN peacekeeping force to Ukraine throughout a zone of conflict that Western powers accuse Russia of fomenting. Despite the continued bloodshed, the Ukraine conflict has been half-forgotten by the West amid other crises and its own divisions, and as France, Germany and Russia have all been caught up in their own elections over the past year. The UN Security Council last week condemned “continuous violations of the ceasefire” and “the tragic humanitarian situation” on the frontline. The UN Security Council condemned yesterday (6 June) “continuous violations of the ceasefire” in Ukraine’s east and called for an immediate withdrawal of heavy weapons. In a rare phone call Saturday to prepare for the meeting, Putin and Ukraine’s Petro Poroshenko discussed an “exchange of people being held” by both sides. But given the deepening distrust between the West and Russia, hopes of a diplomatic breakthrough were always low. 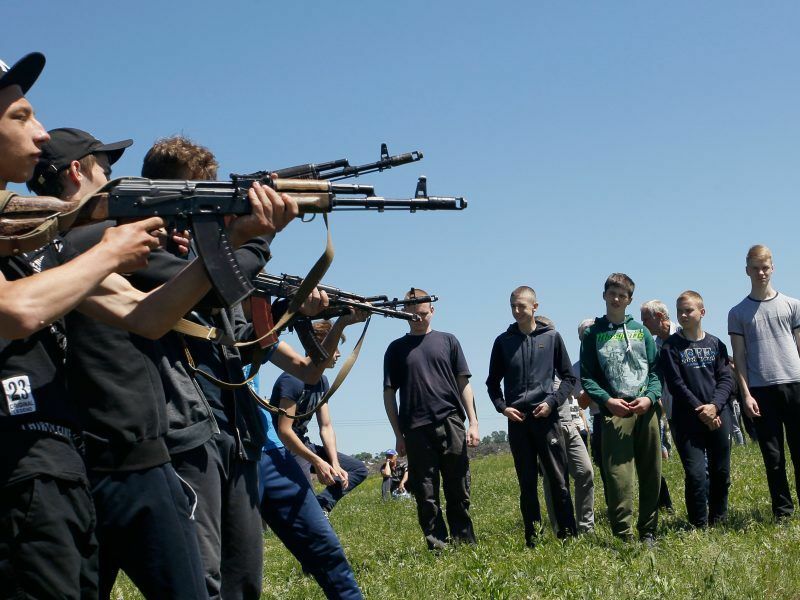 The conflict began when a 2014 popular Ukrainian uprising ousted a Kremlin-backed president in Kyiv and Russia moved to annex the Crimea peninsula, backing insurgents in the former Soviet state. Brussels responded to the territorial grab with stinging economic sanctions, with Moscow retaliating in kind. Since then, east-west tensions have spiralled to a new post-Cold War low. The US and European powers have accused Moscow of using hackers and propaganda to sow discord, meddle in elections and back eurosceptics and right-wing populists, as well as ramping up military posturing to threaten eastern European states. Putin, who was re-elected to a fourth term in March, has denied all the charges and argued forcefully that hostile NATO powers are seeking to demonise and weaken Russia. Moscow also accused Kyiv of spreading “bizarre” fake news after Ukraine’s secret service last month staged the murder of Russian journalist Arkady Babchenko, claiming it did so to foil a Russian plot on his life. Heightening tensions, Putin on Thursday warned that any military “provocations” during the World Cup football tournament which Russia is hosting, would have “very severe consequences for Ukraine as a state”. Russia’s main goal is the lifting of damaging economic sanctions, a push aided by the rise of sympathetic populist parties in the EU, most recently in Italy. 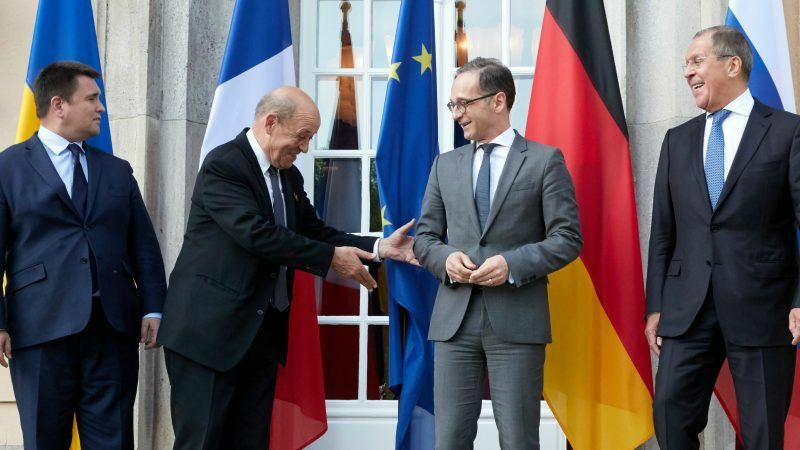 France and Germany agree that any sanctions relief for Russia must be conditional on advances in the Ukraine peace process. Only solution for Ukraine is that Ukraine produces nuclear weapons that had in 1992 , and then rise 5 milions of soldiers and liberate Donbass and Crimea.